"IT DOESN'T HAVE TO BE A DISASTER"
Join us for an amazing presentation on a plan to protect Malibu from another fire disaster. 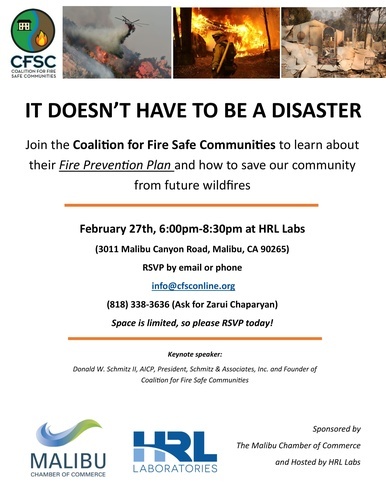 Presented by the "CSFC" or Coalition for Fire Safe Communities. Sponsored by the Malibu Chamber of Commerce and hosted by HRL.